Discussion in 'The Garage' started by inxs, Mar 26, 2010.
will this help? or will it be a waste of money? On my '93 Heritage Special I believe I have the "D" style tensioner. 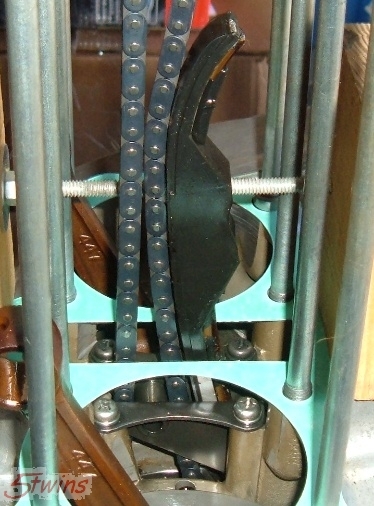 I'm seriously considering going with the XS2 style tensioner (if I can find one). Anyone try this? I'm told that the XS2 style tensioner is noisier but personally I'm more concerned with long term durability than a little noise on a 28 year old bike. 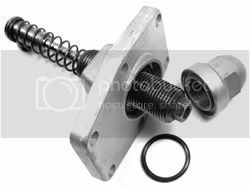 Is there a step-by-step guide that I have missed on swapping out the tensioner to the older style? What would I be getting myself into? I've never had my engine apart and the reading I have done indicates that I'll need to tear off the top end. From what I see I don't really understand why the top end needs to come apart. 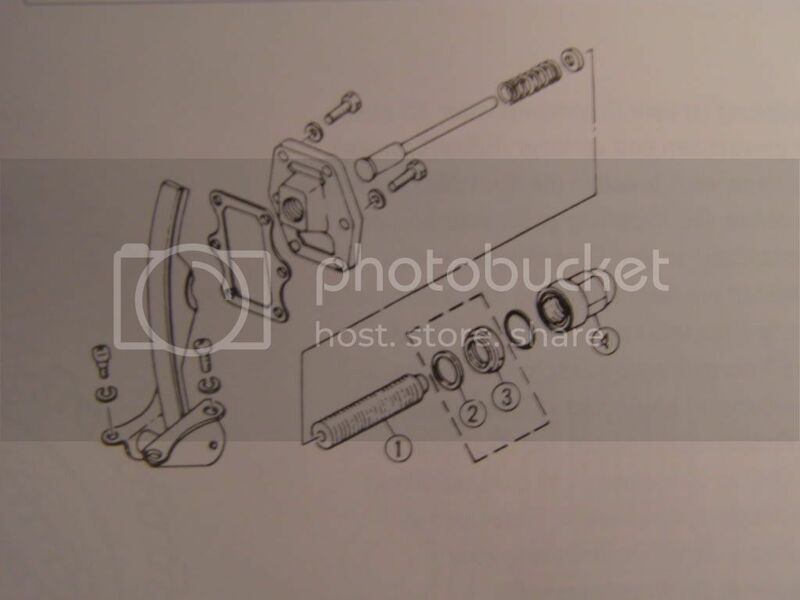 Doesn't the tensioner assembly come out by removing the 6 bolts that secure it to the rear of the engine? Looks like I'll be getting a Clymer (or Haynes) manual in the not too distant future. I know that'll help. Just fishing for a little information. Sorry for resurrecting such an old thread. I thought this would be more appropriate than making a new one. 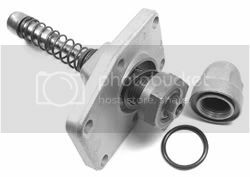 I don't think the early tensioner parts are available anymore so to make the switch, you'd need to find good used ones probably. I don't see the point really. There's nothing wrong with the newer set-up. Frankly, I think you'd be taking a step backwards. Here's my logic on this 5twins...and I'll admit up front that it may be flawed logic. 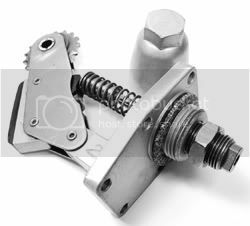 Using the rolling sprocket tensioner would eliminate a sliding contact location between the chain and tensioner, right? 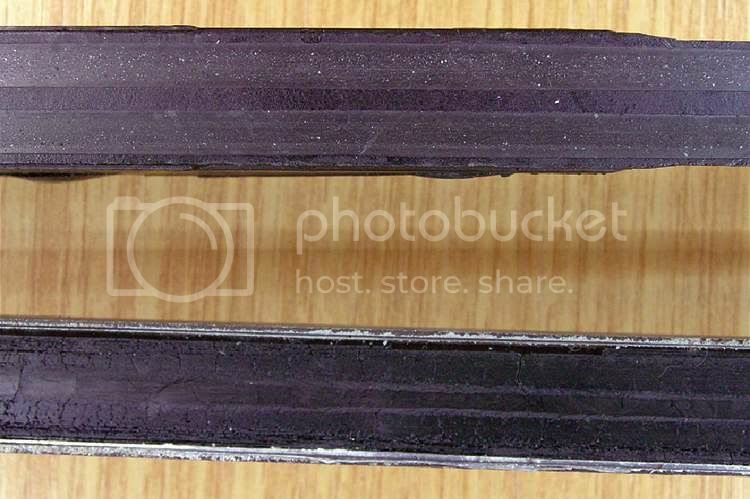 The elimination of the sliding contact would increase long term durability. It'll also eliminate the shavings that tend to wind up in the oil sump area. If I'm wrong please set me straight. I may be looking at it too simplistically. The shavings don't generally come from the rear tensioner blade, they come from the front guide and that's the weak item in the set-up. That same front guide is used in both configurations. And while you would eliminate the long rear "blade", there's still a rubber block at the bottom that takes it's place. You'd still have rubbing there. Ok, in my reading above the front blade is a bit easier to replace, right? Remove the oil feed tube and then the front blade if I'm not mistaken. I'll look around and see who carries front blade tensioners. Yes, but the head (at least) still needs to come off. Just about every 650 parts place sells it because it's common to have to replace it. 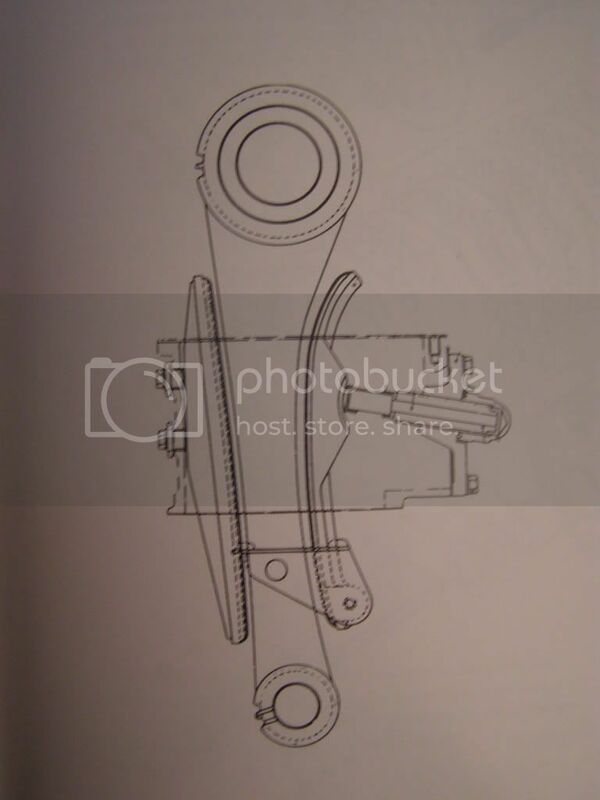 And it's not a tensioner per say, just a guide. It bolts solid to the front of the cylinder and the chain just runs against it. It's not forced into the chain like the rear one is. Ok, looks like I'll put this off until the winter when I'm not planning to ride. Thanks a bunch. If you're going to replace it for sure, you might want to acquire the part now or over the summer sometime. They run out of stock from time to time and sometimes you can't get one when you need it. 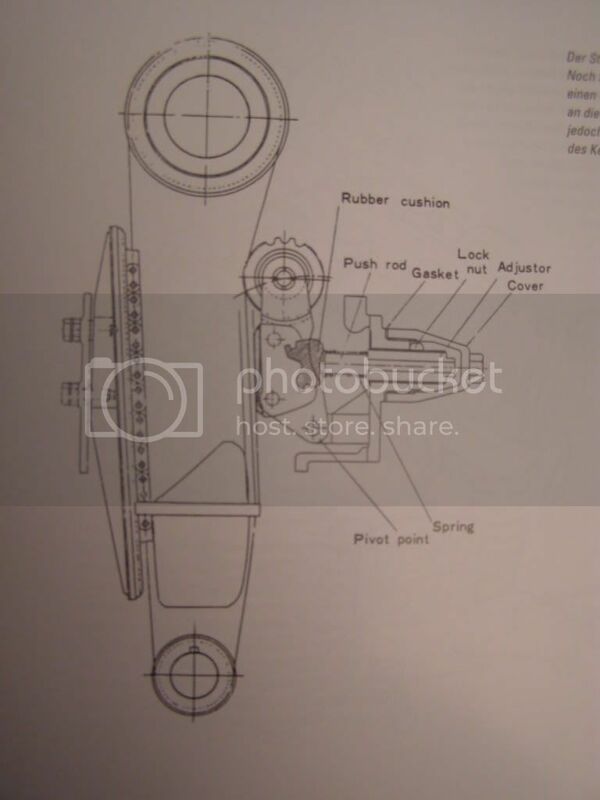 It seems i have a model D tensioner in my engine from -81. Now, I have a problem that the cap nut seems to be to "shallow" so with the tensioner flush as it should I need about three more copper washers to get the cap nut tight. I wondering if I have a proper "E" model but with the lock nut missing, only way to know is to mesure the plunger, right?? Is there any difference between D and E except for the lock nut?? Mine seems to be making a bit of a metal to metal sound coming from the front of the engine. I am guessing that it is the front cam chain blade/guide? Does anyone have a good part number for a XS650G and a place to get them?? 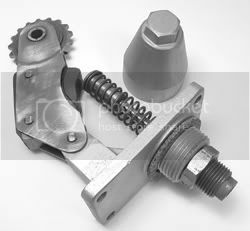 Can any tensioner be used on any year 650? 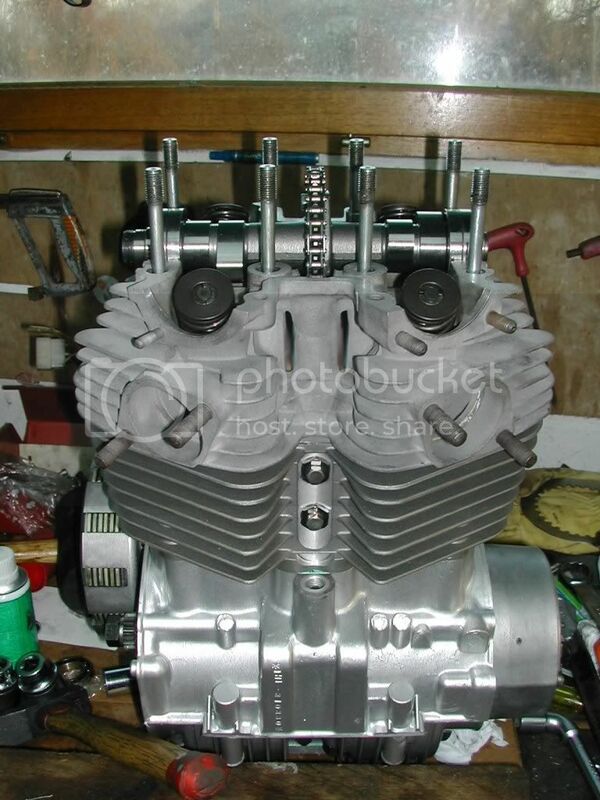 The motor for the "White Trash Bobber" is a 75' and I need to get all of the cam chain tensioner parts. I would be nice to be able to get the least expensive one I can find. I've had my cam chain tensioner parts off my XS650C for months now and like a Dumb A_s, I can't find where I stored the 6 bolts and washers. Why the hell didn't I leave them screwed on? Seems like a couple of the bolts were shorter (in middle?) than the other 4, but I'm going off of failing memory. Assuming these are garden variety hex bolts (I'm thinking M6 x 1.0 thread pitch), what are the length or lengths I need for these 6 bolts? Also, are there torque specs for these 6 bolts. Not that it's particularly relevant to my fastener issues, but I believe I have the Type D.
4 Bolts on the Corners (OEM 97024-06020-00) are: M6 x 1.0 Thread Pitch x 20 mm length. Takes plain washers. Mikesxs sells these, Mikesxs Part No. 49-0723. Mikesxs calls them "Cylinder Guide Bar Bolts", so they appear to serve another purpose. PowerSportsPlus.com sells these for .71 each whereas Mikesxs price is $1.00 each or $2/pair plus their customary $25 shipping charges for items weighing 0.0001 ounce. 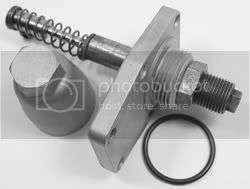 2 Bolts in Middle (OEM 90109-06019-00) are: M6 x 1.0 Thread Pitch x 19 mm length. These are Obsolete, so likely won't find them anywhere. I plan to just shorten one of my extra 20's to make it a 19 mm or just use an extra washer or two.